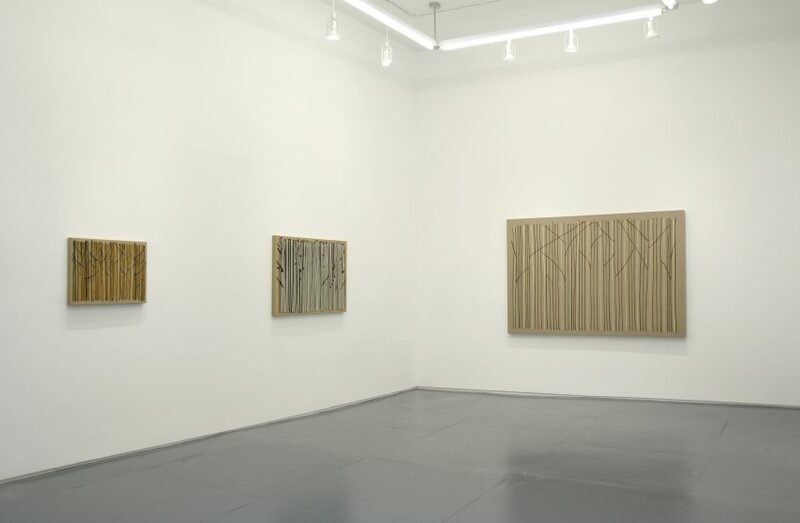 Klaus von Nichtssagend Gallery presents Benjamin Butler’s third solo show with the gallery, October 21st through December 4th. 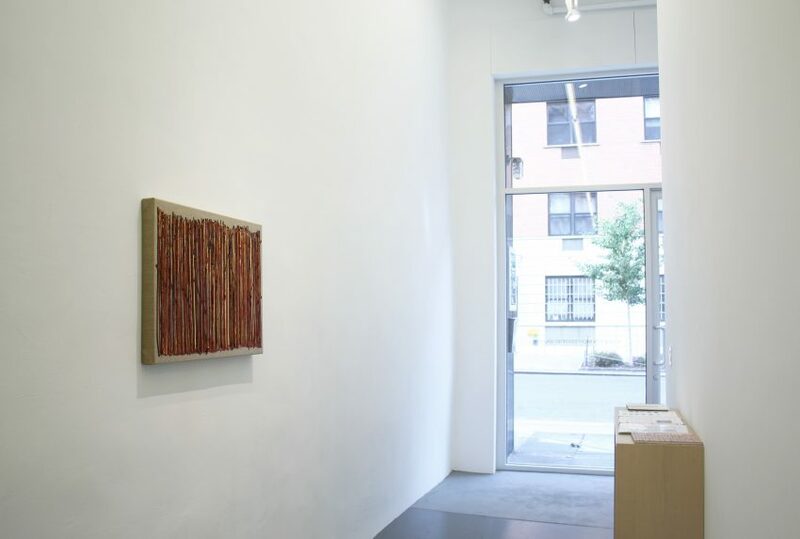 The show will consist of new oil paintings on linen and will occupy both gallery spaces at 54 Ludlow Street. 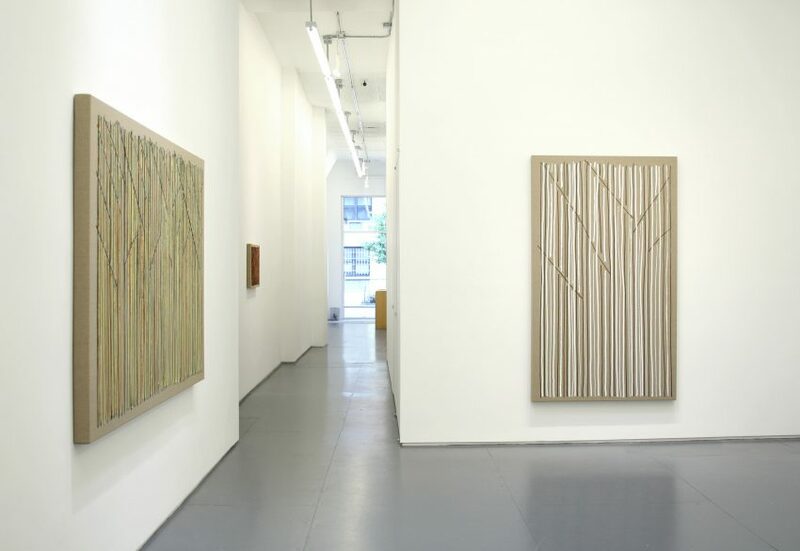 An opening reception for the artist will be held on Friday, October 21st from 6PM – 8PM. 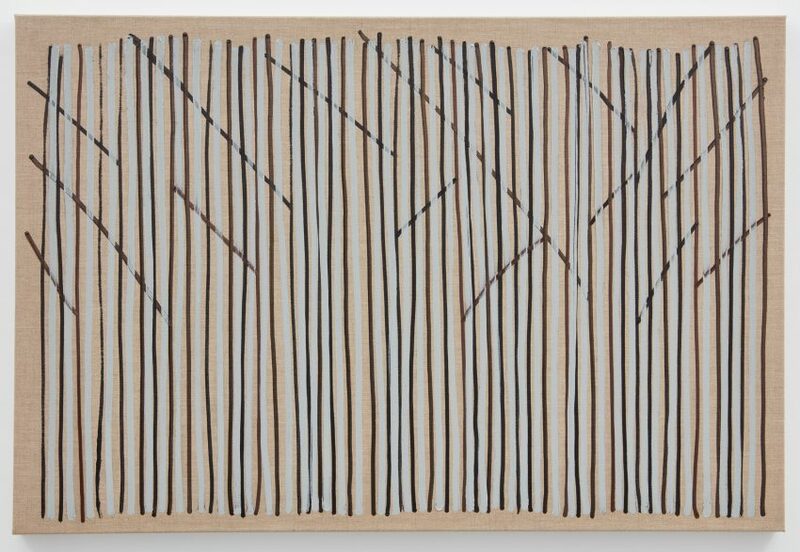 In this new body of work, Benjamin Butler cultivates variation within an increasingly limited system. 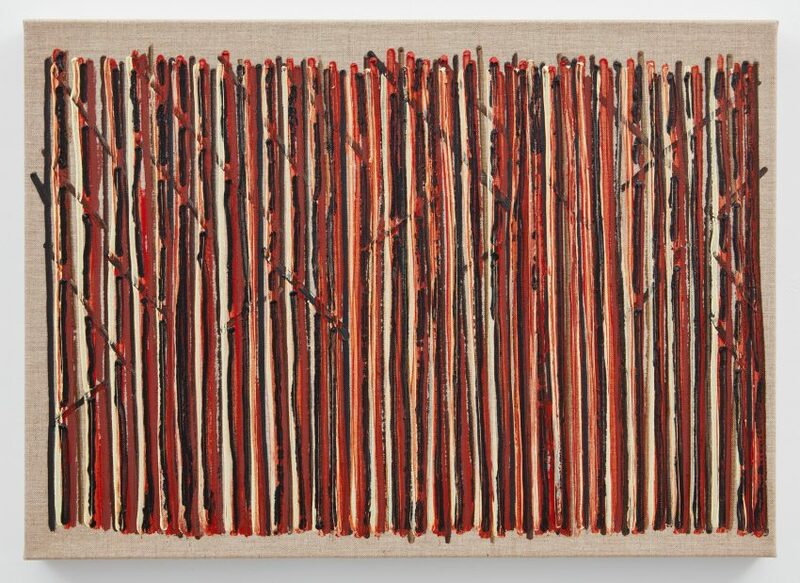 Oil paint has been applied directly from the tube and then subtly manipulated onto a background of naturally hued linen. 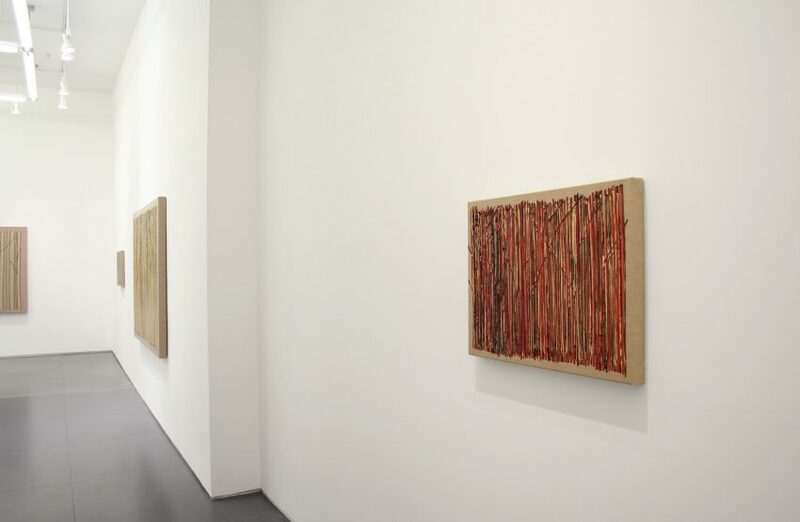 The paintings range from spare, linear compositions to thickly layered and obscured images. 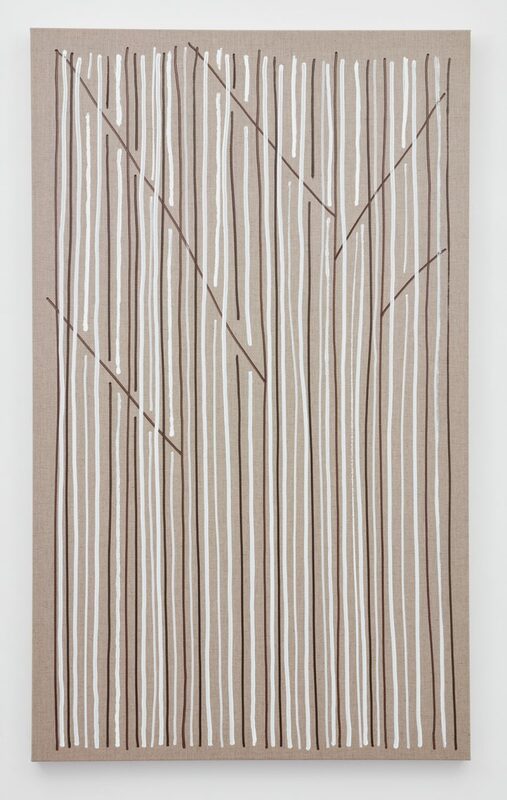 An unpainted area around the edge of the canvas emphasizes the picture plane as a physical surface. 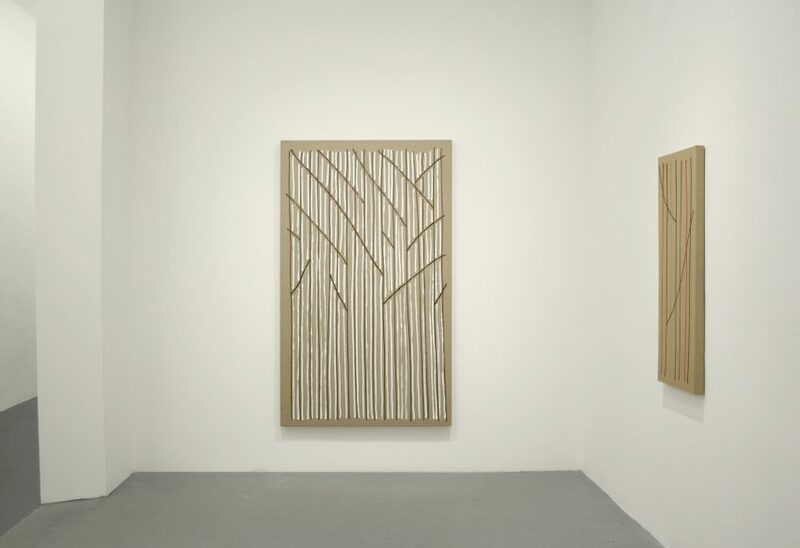 It also frames or isolates an interior “forest” space that functions as both landscape and formal abstraction. 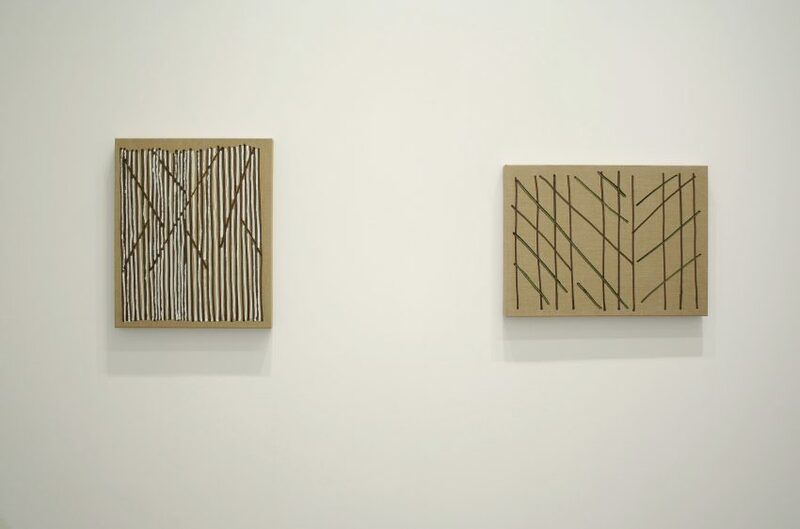 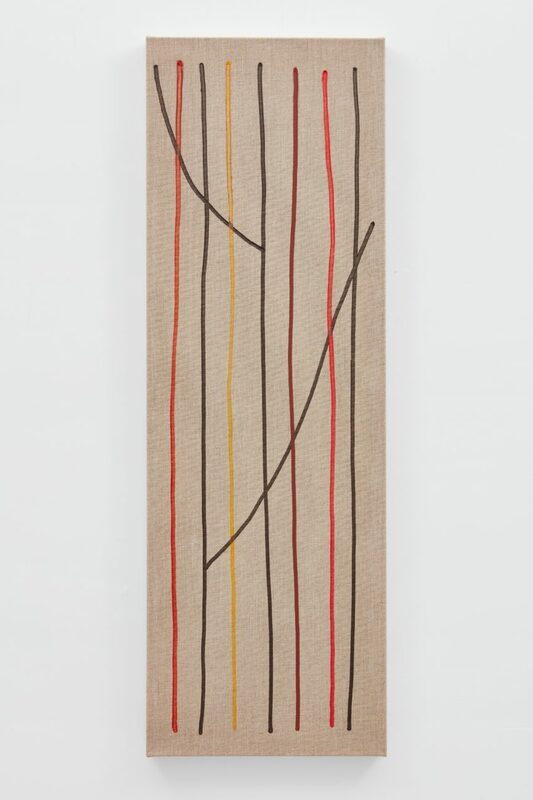 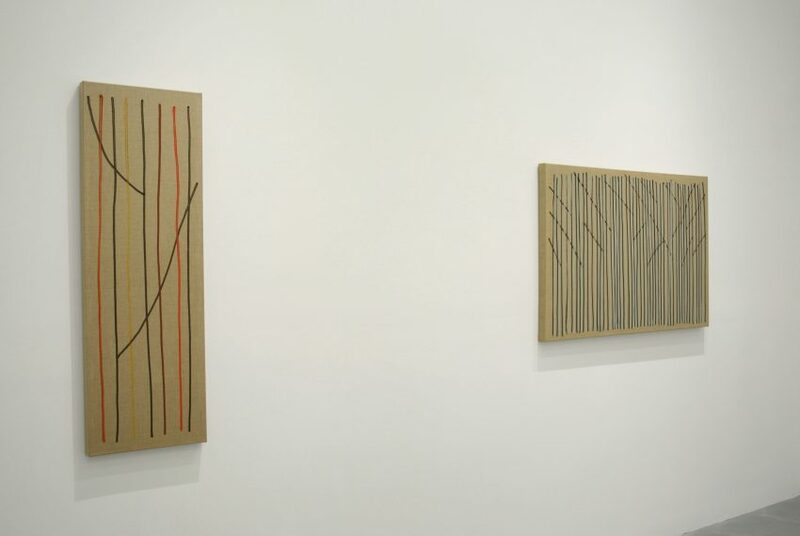 Minimal in their translation of the subject, the artist’s motifs have essentially been reduced to vertical and diagonal lines. 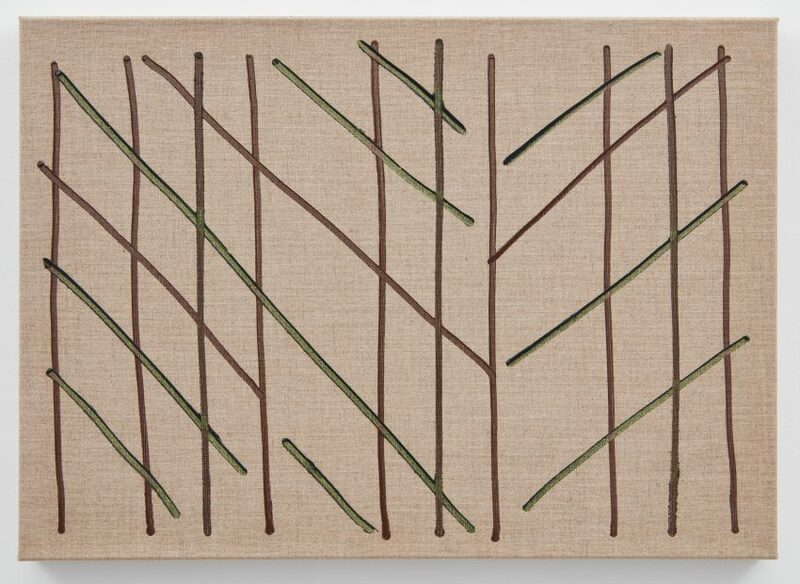 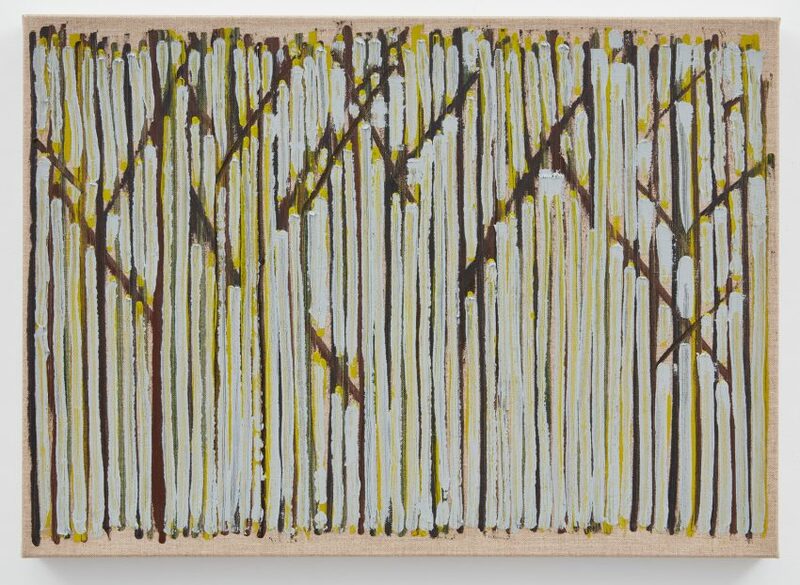 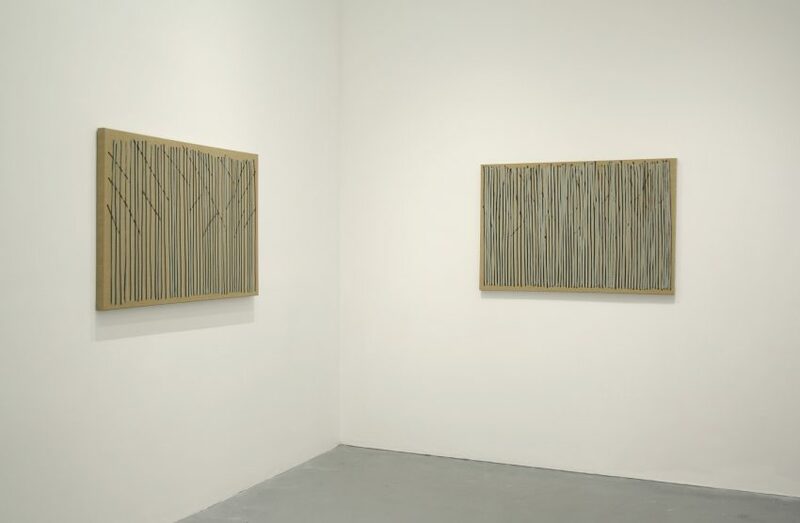 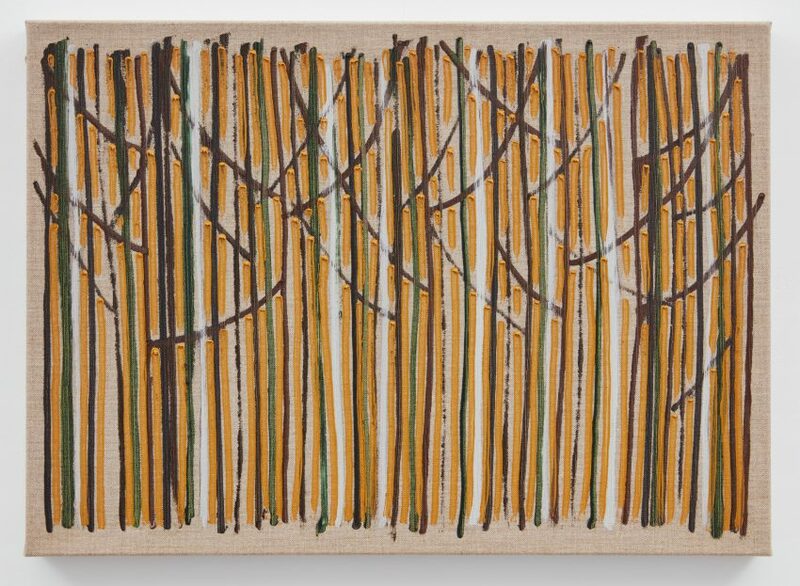 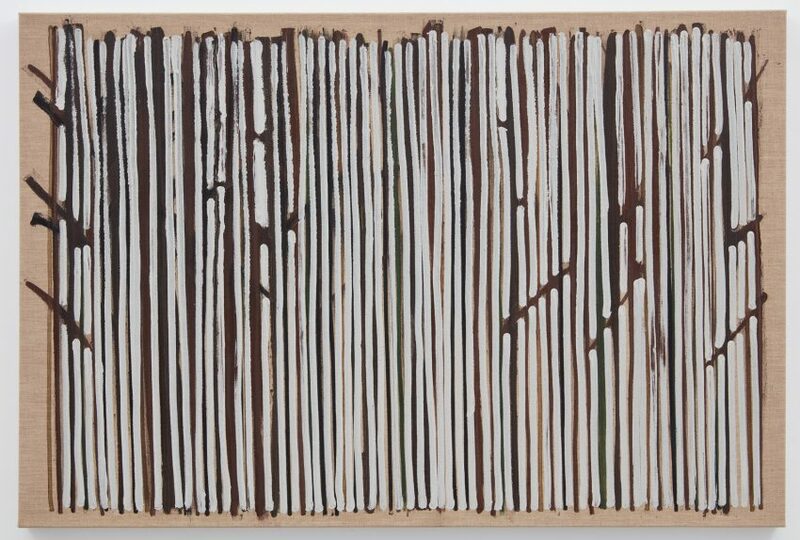 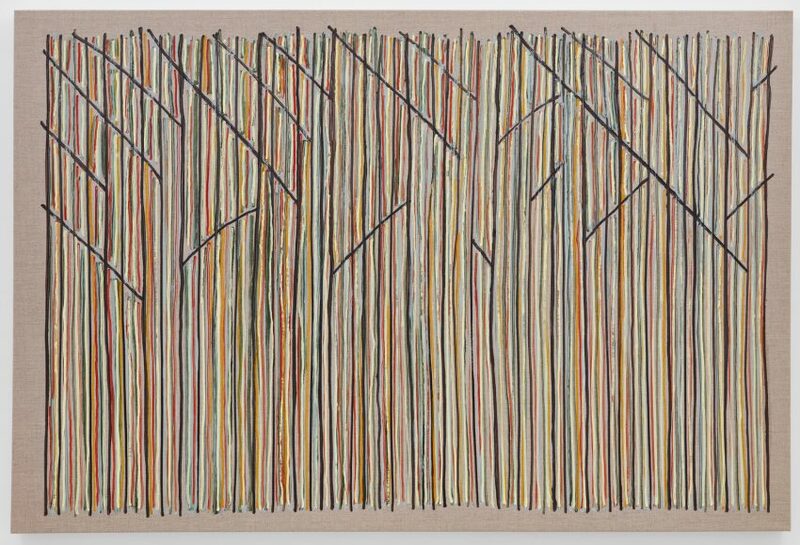 Butler’s repeated use of the forest as a conceptual and visual trope is advanced by his deadpan approach to applying paint to canvas. 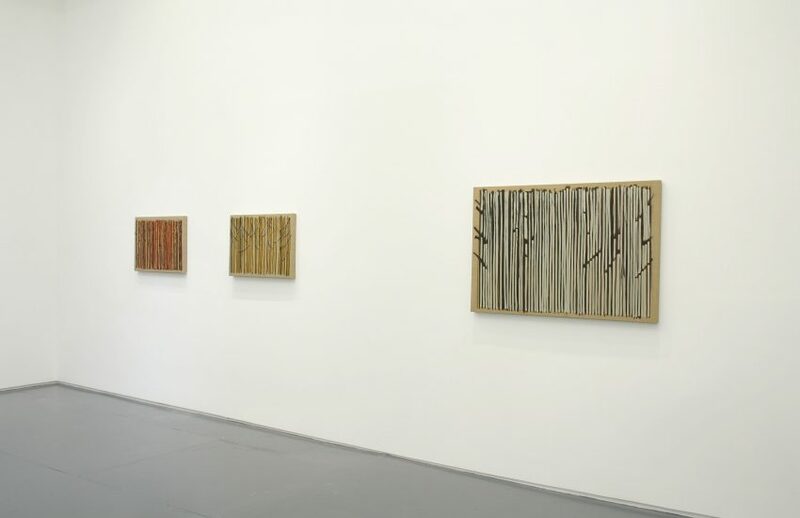 The paintings are connected by process, colors, seasons, and motif. 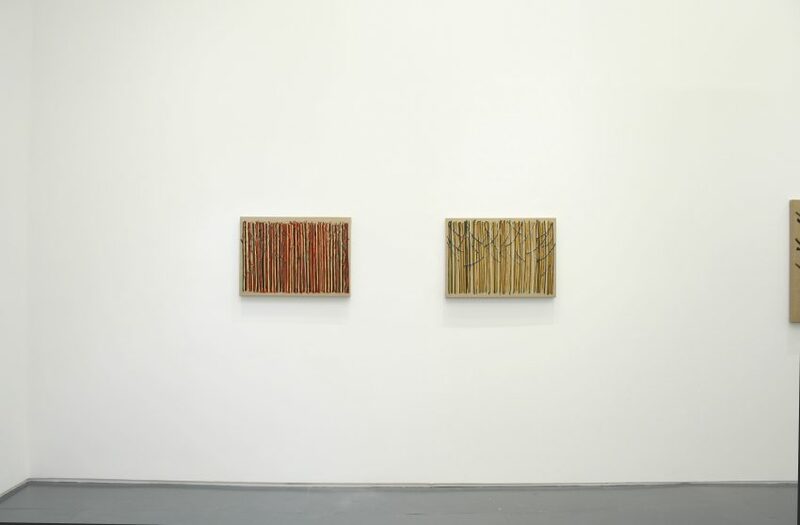 We can view them as individual paintings, works in dialogue within the exhibition, or as a part of the larger project that the artist began to construct over a decade ago. 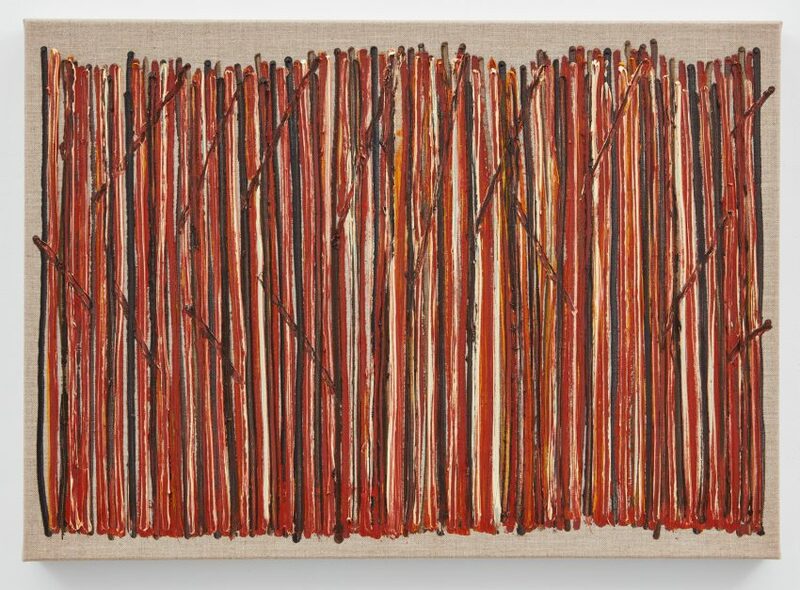 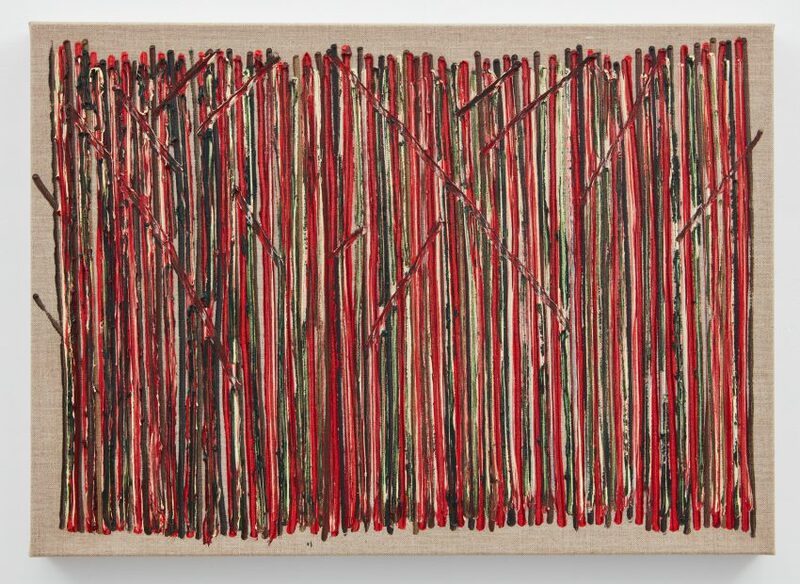 Butler operates on the notion that these paintings aren’t actually about trees or forests; they are about an exploration bound by parameters of the artist’s own making. 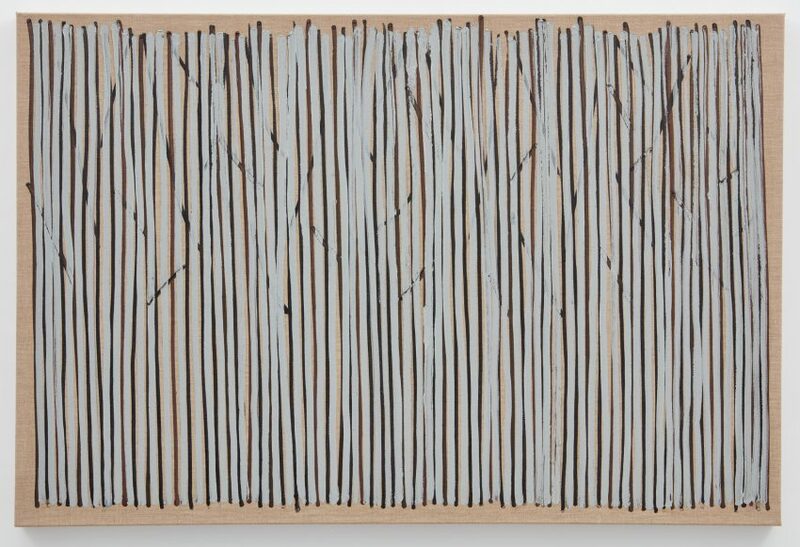 Benjamin Butler (American, b.1975) lives and works in Vienna, Austria. 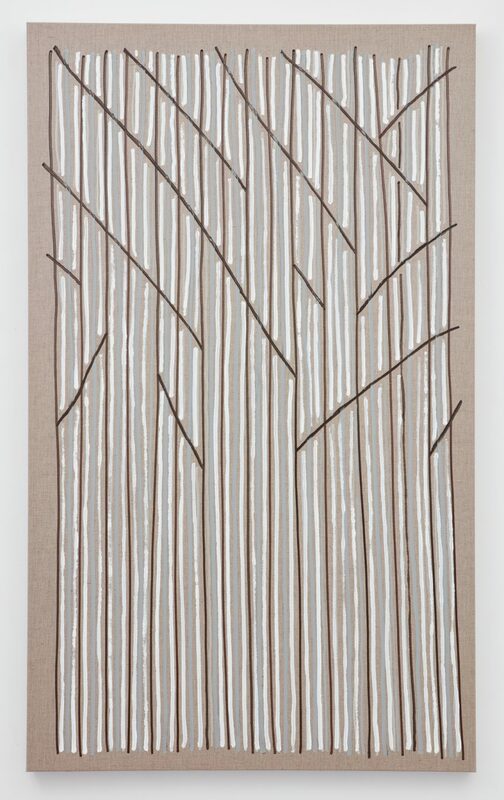 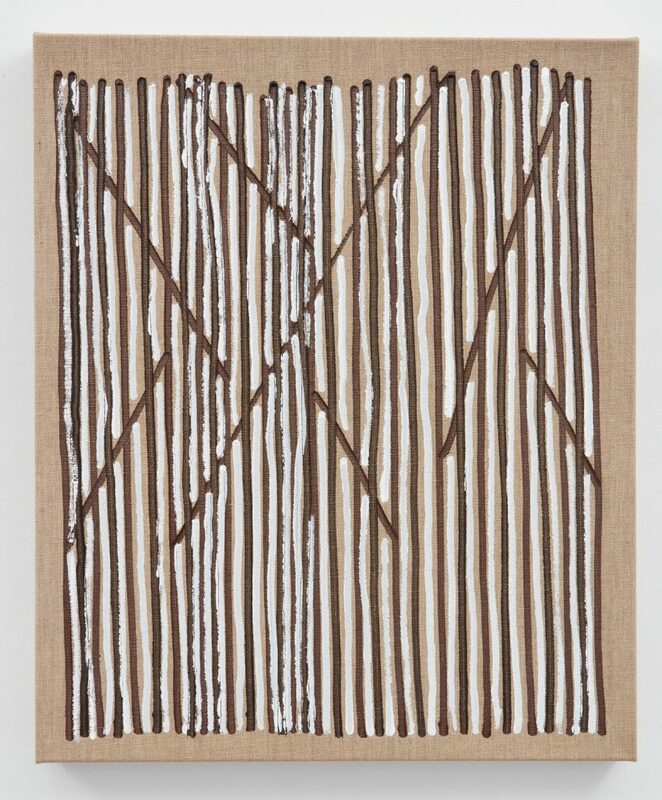 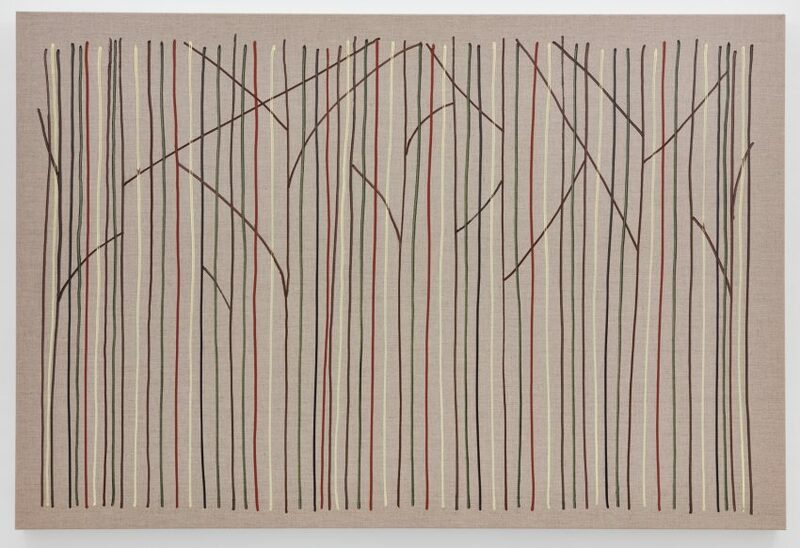 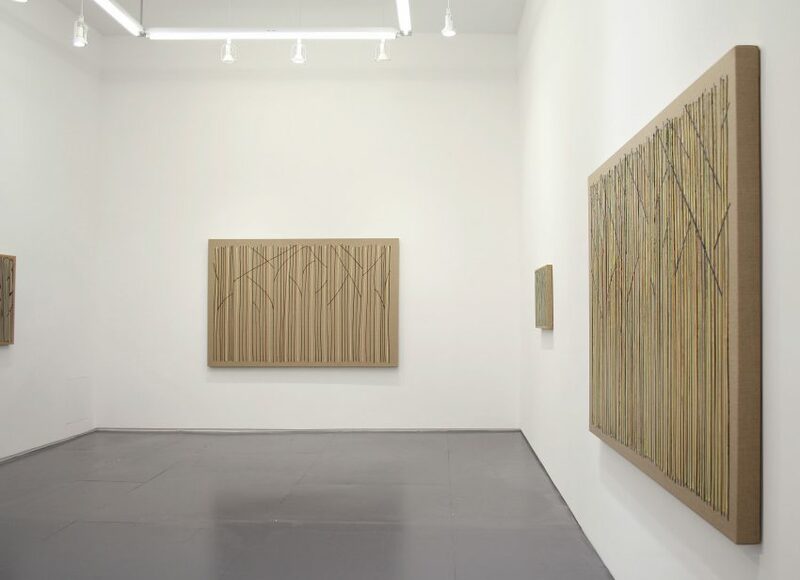 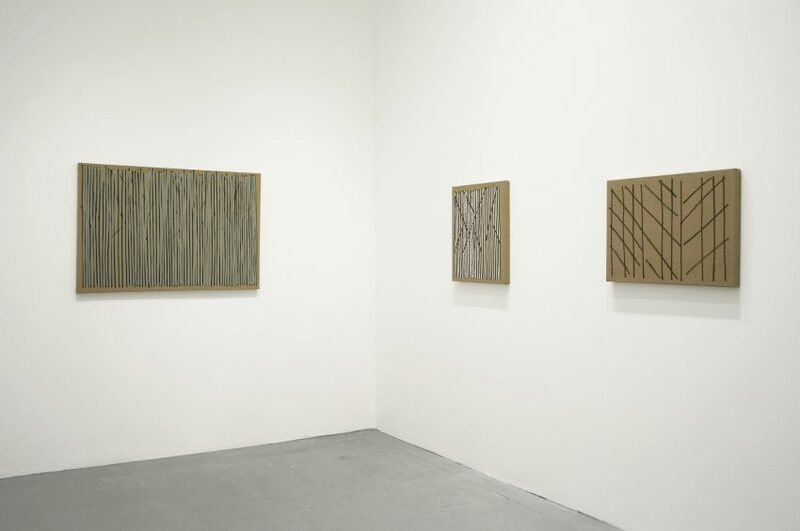 Recent solo exhibitions include “Another Tree, Another Forest” at Galerie Martin Janda, Vienna, and “Trees Alone” at Tomio Koyama Gallery, Tokyo. 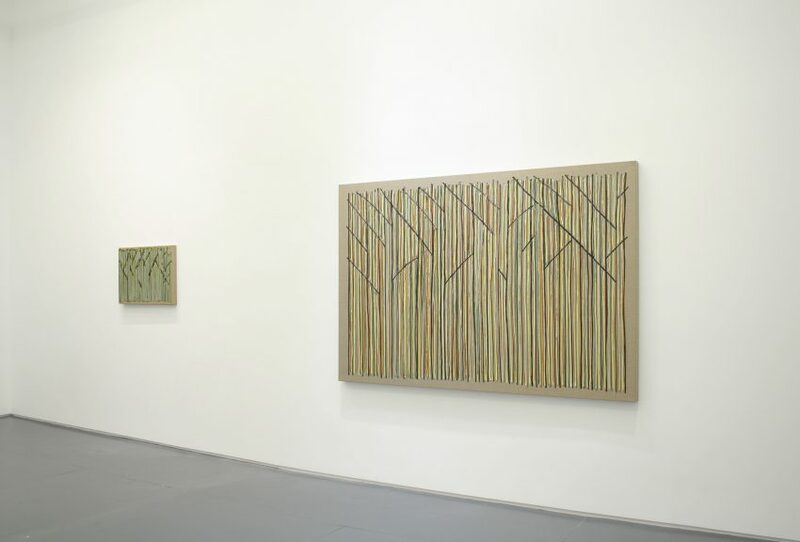 His previous exhibition at Klaus von Nichtssagend, “Green Forest” was in 2014.